（1）Concrete pump ability. Pumping concrete should meet pump ability require, and should ensure pumping concrete mix proportion by pump testing when necessary. (2) Concrete pump should be pumping appropriate amount of water after starting, to moist concrete pump hopper, concrete tanks and pipes and other direct contact parts with the concrete. And then use one of the following methods lubricate these parts after pumping water: pumping cement paste; pumping cement mortar1:2; pumping other component mix proportion cement mortar except coarse aggregate. Cement plaster or cement mortar for lubrication should scattered and not be pouring in the same place. (3) When start pumping, concrete pump should be in a slow, uniform operation state, and then gradually speed up. At the same time observation of concrete pump’s pressure and the working condition of each system, it can be pumping with normal speed after each system work smoothly. 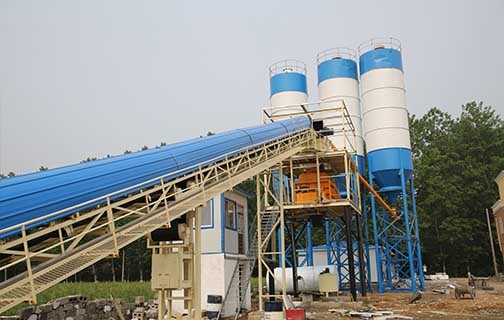 Zhengzhou CamelWay Machinery manufacture produces tower cranes, construction elevators, concrete mixing stations, JS concrete mixers, concrete batching machines, stabilized soil mixing stations, wheel loaders, concrete transport tanks, JZC concrete mixers and other construction machinery.If you are interested in the concrete mixing equipment, please feel free to contact us.